This week Strands of Thought is excited to host Abbi from Birds in the Flower Basket. It’s so great to have you with us, Abbi. Tell us a little about yourself. My name is Abbi. My best of all friend is Mittens. He is my cat that stays with me forever. He likes to cuddle and sit on my lap. Once he got outside and wanted to get the birds. We’d love to get to know you better. What do you like to do for fun? I like to watch the birds out the front window. They fly back and forth to Momma’s flower basket. Mittens likes to watch them, too. When winter comes, I wonder if the birds will come back again. I like to play with my toys. I like to go to the store with Momma. Smashed potatoes with gravy, ice cream and colored M & Ms.
What about you are people always giving you a hard time about? “Sometimes Momma’s friends, or Gramma, say I have too much energy. I like to run through the house. Mittens chases me. Sometimes, I chase him. Once someone asked if something was wrong with me that had letters to it that I couldn’t understand. Momma said not to worry. She didn’t care if I did have ADHD or any other thing with letters to it. Great decision! No one is better at being you than YOU! Thanks Abbi for joining us today and for introducing us to your life and Mittens. 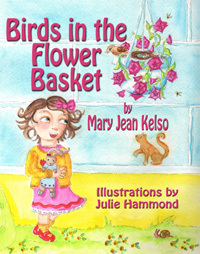 Abbi’s mother struggles to keep her flowering plant alive while birds raise their family in it. This gives Abbi a valuable lesson on how birds create a nest and raise their young. It is a learning experience from identifying the birds through watching the young hatchlings grow and take wing. Cradle, Blue Coat, and The Homesteader series. 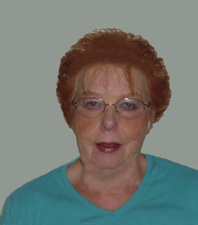 Mary Jean wrote for many newspapers and magazines (including Family Motor Coaching, Trailblazer and RV’n On) and was an Asst. Editor for magazines prior to concentrating on fiction for children, young adults and adults. Mary Jean received awards from The Nevada Press Assn. and The National Press Assn. as a correspondent for The Lahontan Valley News. She is a member of Made in Nevada. Visit Mary Jean at Facebook, Linkedin, www.authorsden.com/maryjeankelso, www.andyandthealbinohorse.blogspot.com, Amazon.com and www.madeinnevada.org. Hi Kai, thanks for an informative interview with an interesting character. Congratulations, Mary Jean, for a book on an important subject. Hi Julie, your cover picture is really cute. Thank you, Barbara. Abbi is an adorable character to visit with. Sounds cute. And I always appreciate books that have anything to do with learning disabilities like ADHD. I agree Janet. Really any book that shows off how we are all different from each other in a positive way is important. I had fun with this one. It had been a frustration of mine while I sat at my desk working on other books. The birds have decided every year that my hanging baskets make a good place to put their nests. Finally, it occured to me to make a story out of it. We never know where inspiration is going to come from!! What a great story of your inspiration behind the book! Thanks for letting Abbi visit, Mary Jean. Such a nice story and fun to read. I was just thinking of where inspiration comes from this morning. Very timely! Thanks for stopping in, Nancy! Lately I've been finding inspiration EVERYWHERE! I wish it was always like this. Cute idea to interview the character--when I read her favorite foods, I thought, ALL MIXED TOGETHER? And then I realized it was a list--M and Ms are one of my favorites, too! Who wouldn't sprinkle M&M's on their mashies? Thanks for visiting, Margo.